THE BOOK: The Truth and the Life. THE PUBLISHER: Alternative Book Press. SUMMARY: Welcome to Cedar Mill, a late-nineteenth century industrial town in the heart of the New Jersey Pine Barrens. Rachel Morris—young, outspoken, and impulsive—becomes involved in a consuming relationship with David Cranmer, her long-time friend and partner-in-crime. Set against the backdrop of a vividly-imagined historical town that is itself in the throes of major change, this relationship comes to affect Rachel and David (and all who know them) in ways that are simultaneously deeply-felt, heartbreaking and revealing. Meanwhile, in present-day Boston, twenty-something Emma Harris is reeling from the recent death of her mother. Teetering on the edge of depression and yearning for the certainty of knowledge, Emma undertakes a journey of discovery that ultimately leads her to the ruins of a Pine Barrens ghost town, where she might come to encounter the curious interplay between what is known and what is not, between truth and life—and, in so doing, find closure. THE BACK STORY: I grew up in the Pine Barrens in southern New Jersey, a setting very familiar and special to me. After moving to Boston (where I now live), I began to feel its absence and to realize just how deeply it had affected me. In the simplest sense, The Truth and the Life is a labor of love for the home I left behind, an attempt to find meaning in its unique ecology and history. But it’s also a larger exploration of how history resides in landscapes both real and imagined, and how the forces of history—despite what we may or may not know about them—can ultimately come to affect us here in the present. I started writing T&L on a whim during a particularly hot summer in Boston, in an apartment without air conditioning. I didn’t expect those early character sketches to result in a novel, but the story eventually took on a life of its own. The more I wrote, the more the characters began to insist themselves and to demand more attention and thought. I found myself diving deeper not only into my own memories of the place in which I’d grown up, but also into obscure records of late-nineteenth century South Jersey history and dialect. My characters quickly absorbed these new things and constantly clamored for more. They wouldn’t stop acting, and as a result the story kept compounding on itself. After a little over a year of writing and research, I had a messy first draft. I spent another year or so revising it, sharing it with family and close friends, and eventually posting it to a large online writers group, Authonomy, for additional critique and feedback. The former bolstered my courage to put the story out there, and the latter proved incredibly helpful and eye-opening for the revision process. I eventually realized that I had to let the project go at some point, but after the work I’d put into it, I didn’t want to just let it sit in a drawer. I sent it out to several publishers who were taking open submissions, dropping it directly into their slush piles. Alternative Book Press accepted it and published it the following year. WHY THIS TITLE? The title was actually one of the last things that came to me in the book’s creation. For the longest time it simply eluded me, and the MS Word doc was named after one of the main characters, “Rachel”, as a kind of place-holder. In hindsight, I think I essentially wrote the early draft in order to figure out what the story was that I needed to tell. When I went back to revise it, I began to notice key themes emerging—common threads that kept coming up and that were relevant to each of my characters (and therefore to the narrative arc) in one way or another. The more I considered these themes—the big questions that my characters were asking themselves and each other about knowledge and history, about coming of age and sexuality, and about the impact of forces known and unknown in their lives—the more that line from that the Gospel of John began to insist itself (“I am the way, the truth, and the life”). While the novel itself isn’t religious or overtly Christian, religion was a very important part of everyday life within the historical setting that I was writing about, and my characters were all engaging with that tradition in some way. In writing their stories, and in trying to merge those into some kind of narrative whole, I found myself thinking a great deal about the concepts of truth and life and considering the relationships and dualities between the two. At the heart of the book is a question concerning how much we can ultimately know about these things, how much we can quantify them. How can the truth of what happened in the past come to impact us in the life of the here and now, whether we actually know about it or not? Can we ever fully come to know what the truth is, or what life is, and predict the ways in which one will affect the other? Are these things the same in the end, or different? Can we ever really know for sure? Each of my characters, both past and present, found themselves wrestling with these questions in their own distinct ways—and in writing them, so did I. WHY WOULD SOMEONE WANT TO READ IT? While T&L is largely a work of local literature, I suspect that its explorations of knowledge and history, of coming of age, of love and sexuality, and of finding meaning and beauty in even the darkest places will speak to many readers. The book also introduces readers to a unique setting which they may not otherwise have had much of an opportunity to explore: a world of ghost towns and unbroken woodland located in the heart of the most densely-populated (and often most derided) state in the US. The NJ Pine Barrens are unique in an environmental sense—a so-called “barren” place that is full of incredible ecological diversity, a delicate forest system that only exists because it constantly catches fire. The dualities that exist in the Pine Barrens between forces of life and destruction, between history and present, and between truth and life are very much at the heart of the novel. In the Pines and in everyday life, storytelling is what contains and unites these disparate elements, what attempts to make some sense of them—and what ultimately helps us come to terms with a lack of sense. 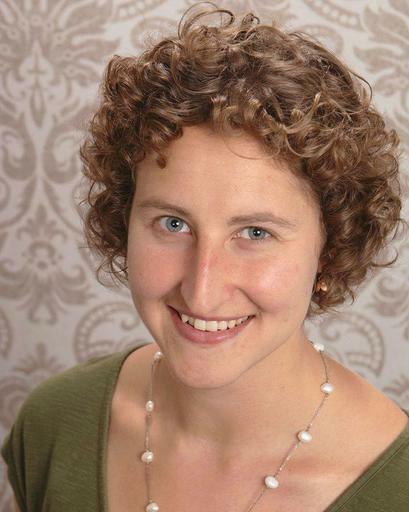 AUTHOR PROFILE: Elizabeth Moore is a fiction writer and poet. She grew up in Indian Mills, New Jersey (population just shy of 6500), not far from the heart of the Pinelands National Reserve. The unique ecology and culture of this region have always had a strong influence on her writing, both poetry and prose. She currently lives in Massachusetts with her husband, Nathan, where she works at The MIT Press. 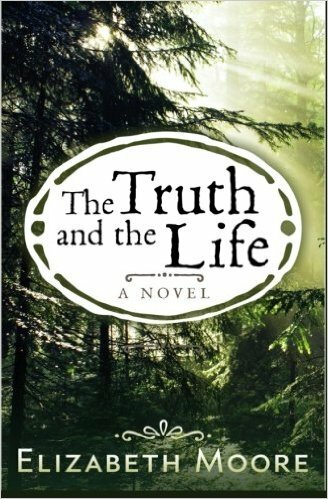 The Truth and the Life is her first novel.